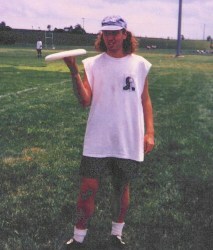 Here are some pictures of teams that I've played with. 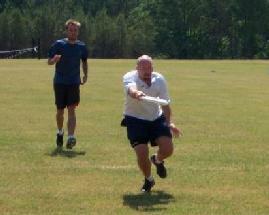 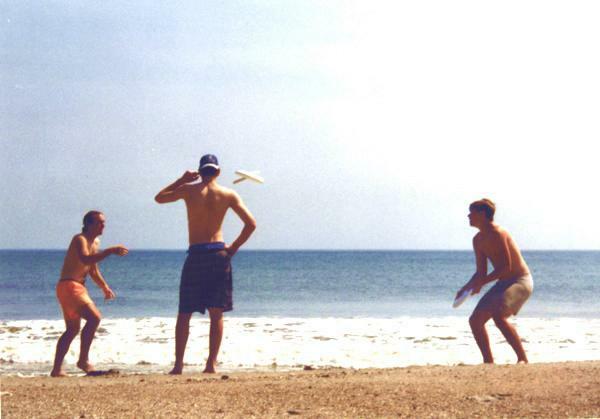 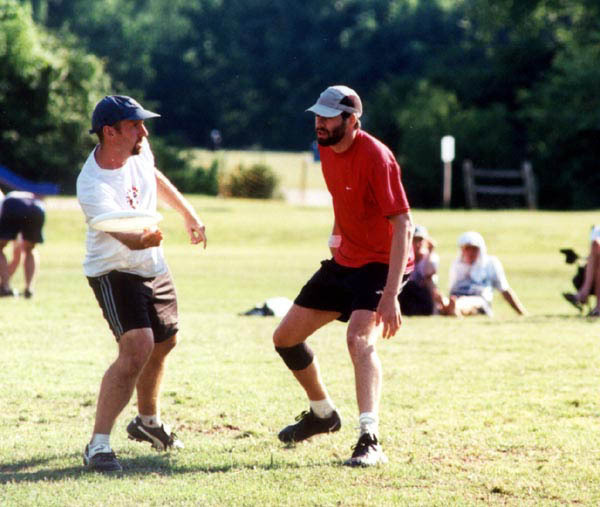 Juggling Discs with John 'Tiger' Pearson after Frostbreaker 1997 as Ray Parrish looks on. 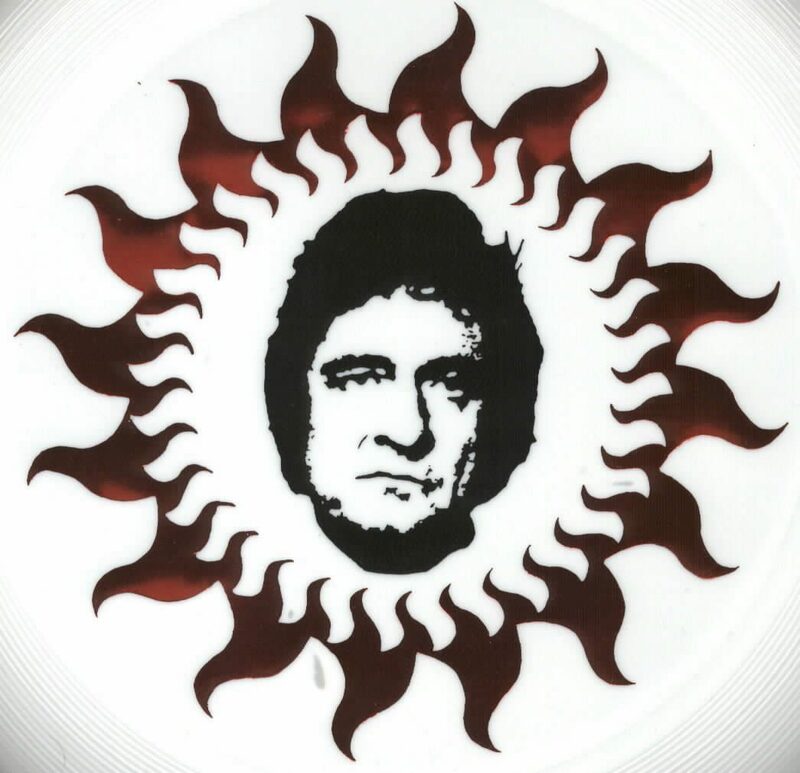 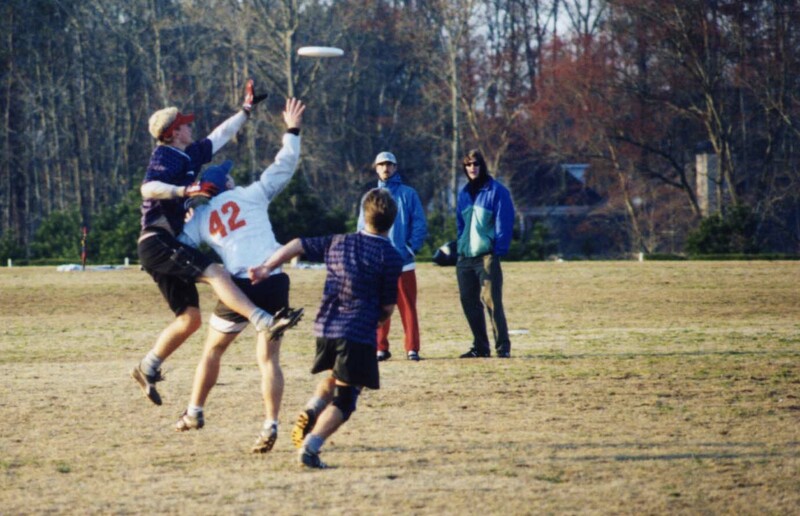 Getting a D in the 1999 Terminus finals. 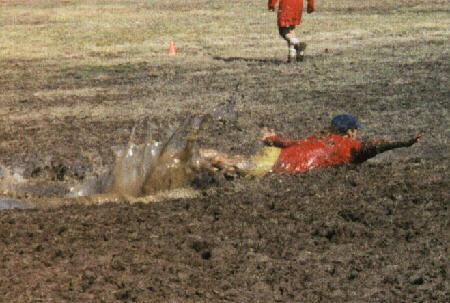 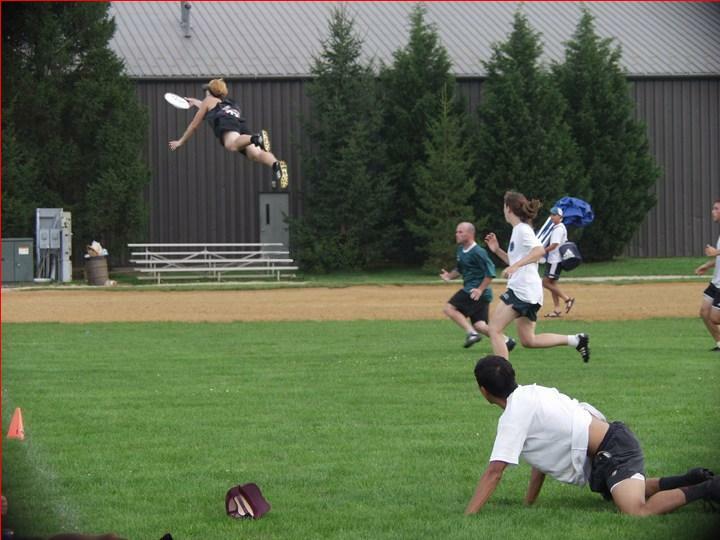 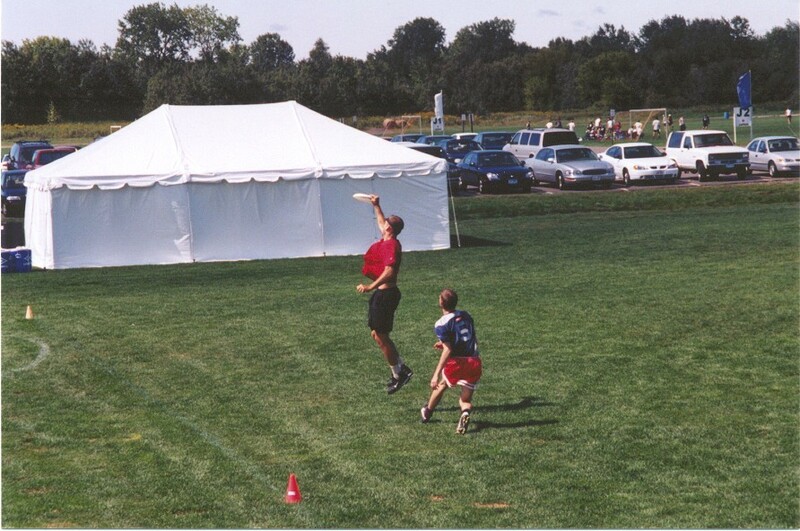 Just released a huck for Spear at 2000 Co-ed Nationals in Blaine, MN. Here is the result of that throw. 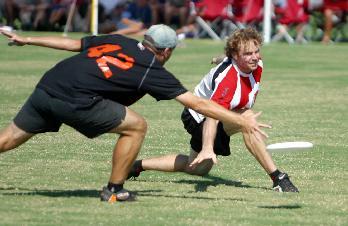 Here are more pics from that tournament. 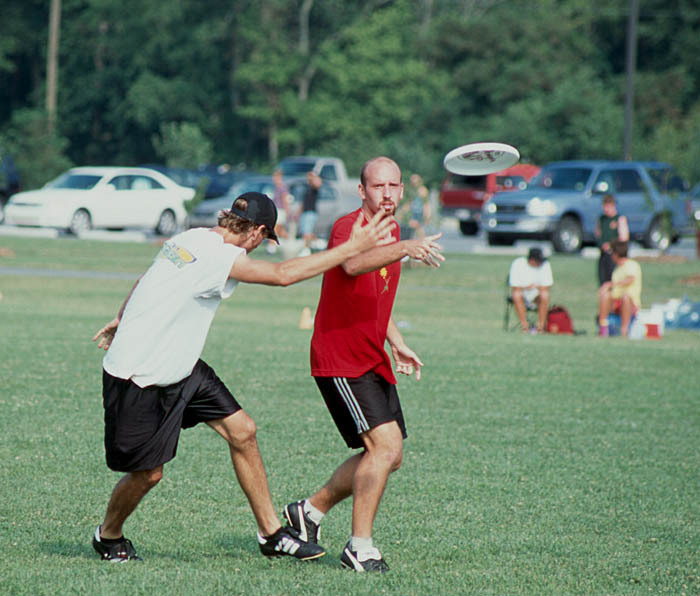 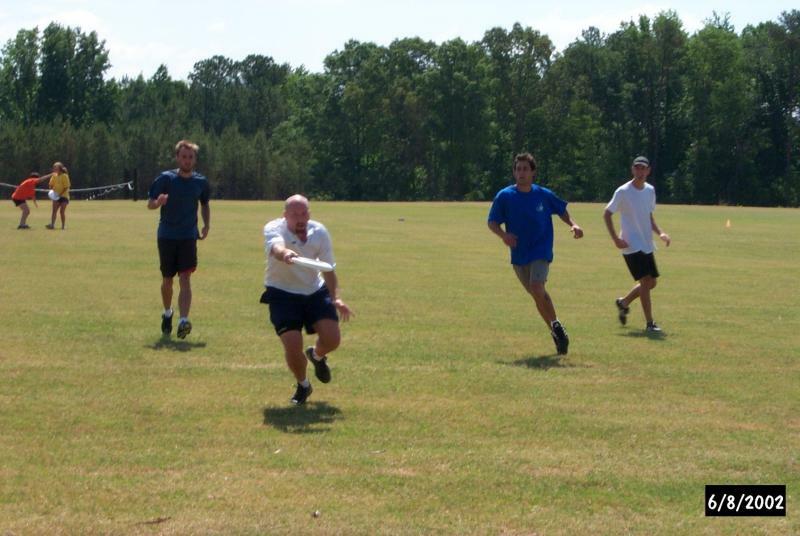 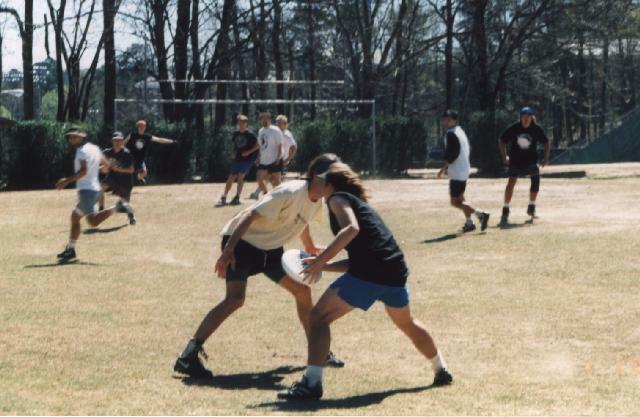 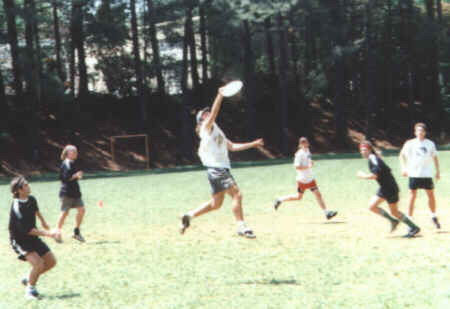 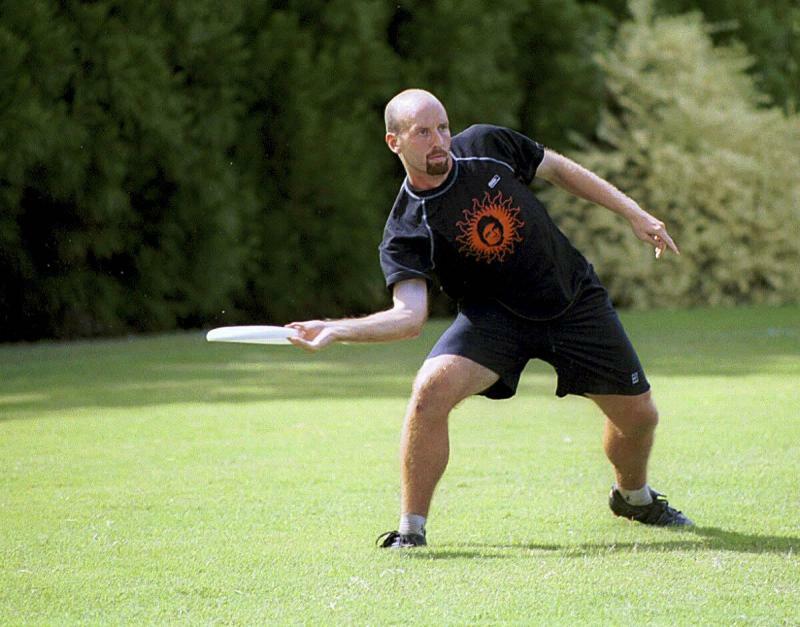 Throwing a flick for the Bears in the 2001 Kudzu finals. 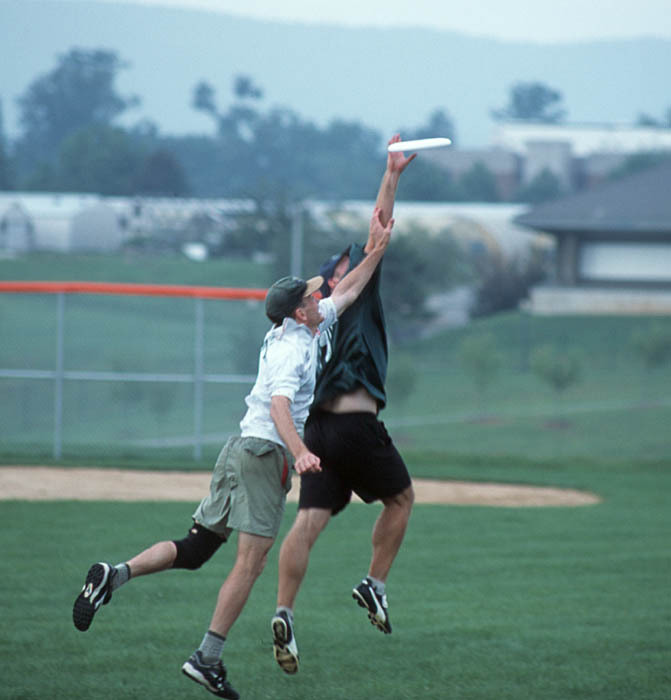 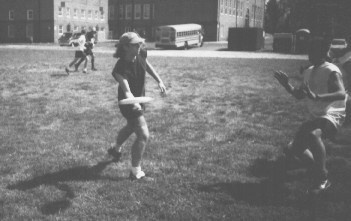 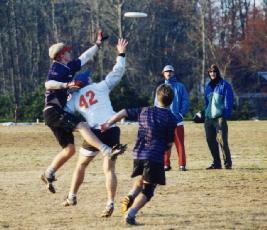 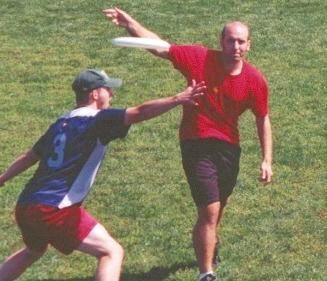 Catching a score for Jade Monkey at Blacksburg Mountain High 2001. 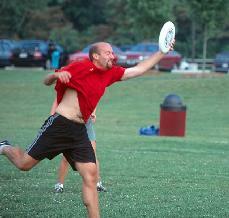 Click here to see what that catch looked like to me. 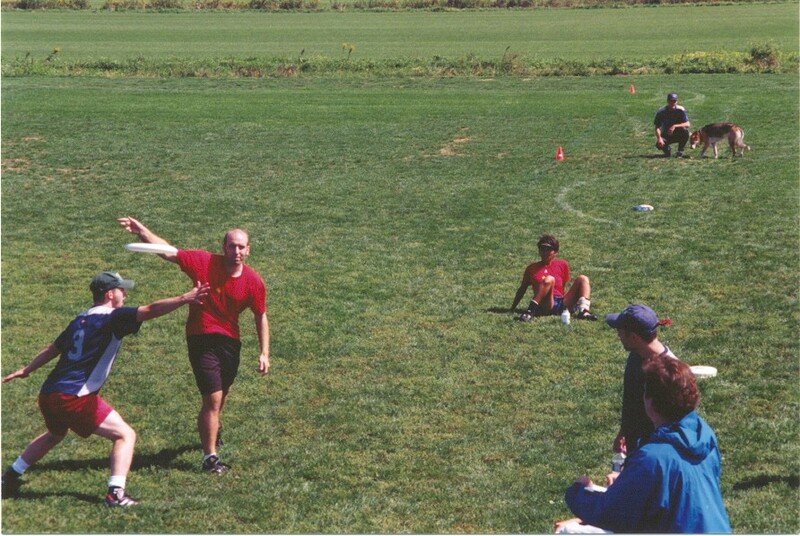 Stretching for a catch in 2002 TFDA Summer League. On the mark against Furious George in the finals of the 2002 UPA Championships.